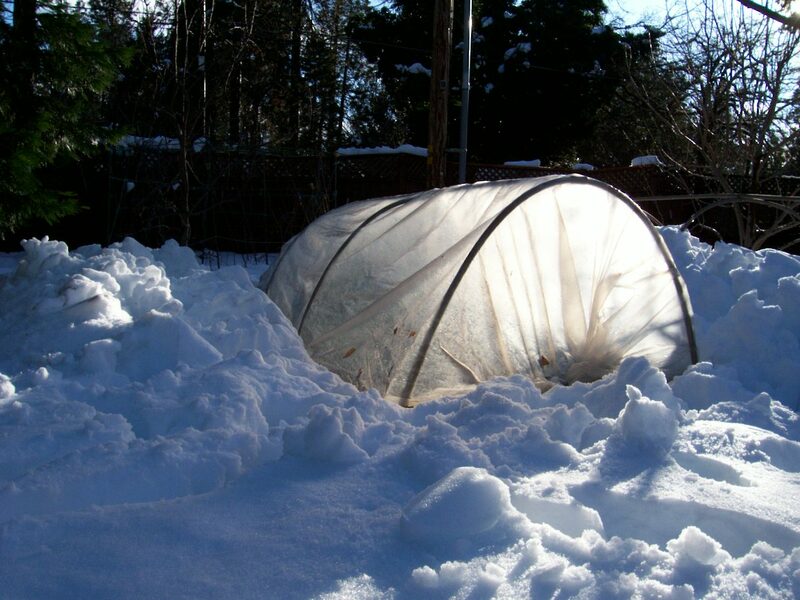 Check out the winter pic’s of inside covered raised beds (greenhouses on the cheap). It’s about 35 degrees inside and the kale, endive and radicchio are all comfy though growing quite slowly. 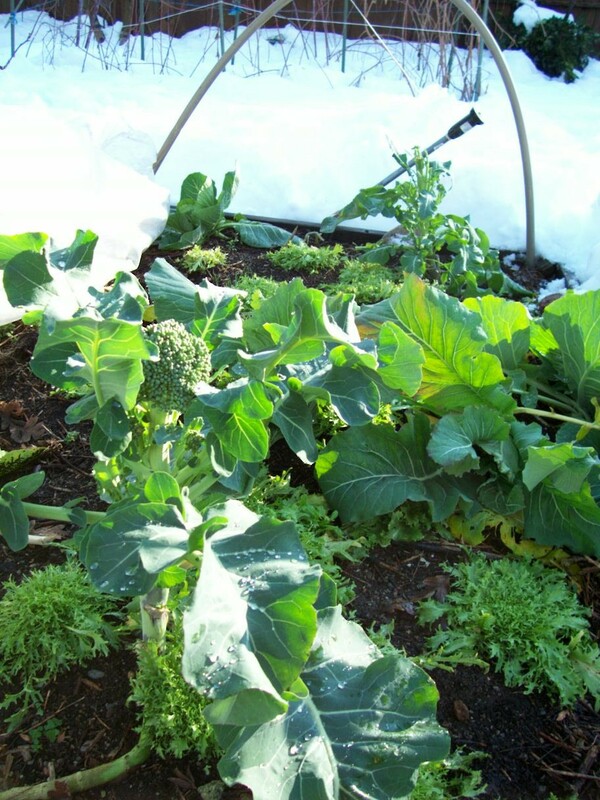 Other pic’s show the raised bed with its 6 ml plastic sheet thrown to one side while broccoli, cauliflower and cabbage sunbathe on a 40 degree day in late January. 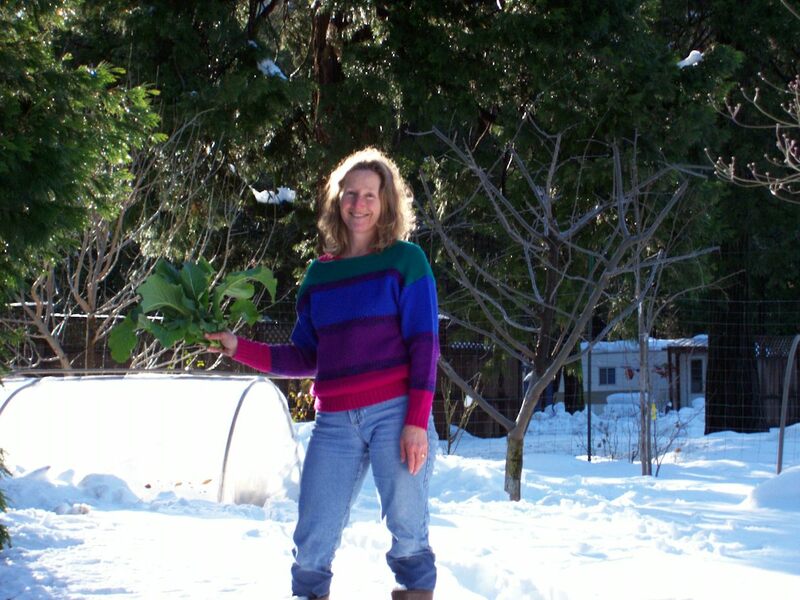 That’s me in the bright sweater headed for the house with a fresh-cut bunch of greens for steaming. It’s also the time of year to…. Dream about what you want to grow this year! Inventory and organize the vegetable seeds you have, paperclipping the root vegetables together, the lettuces together, etc, with the oldest on top. 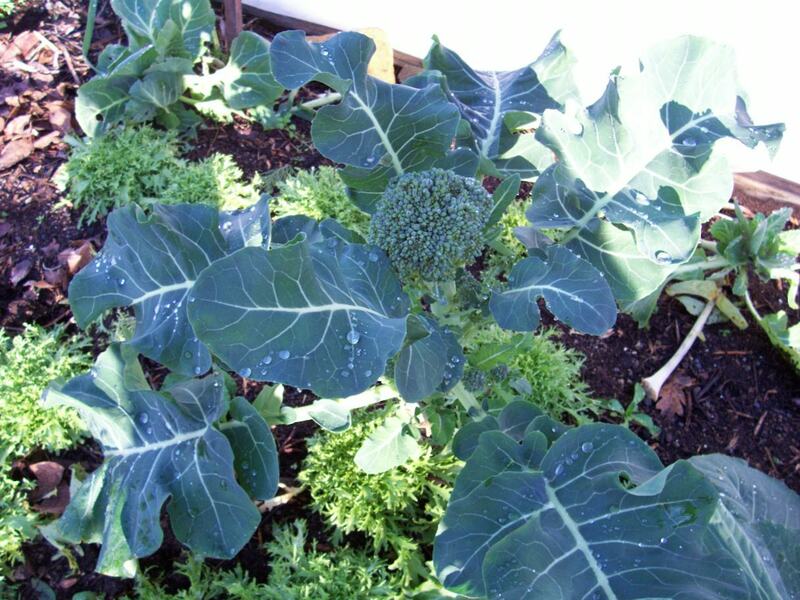 Seeds from previous seasons will germinate fine if they are kept dry and below 110 degrees. Throw out any seeds that look like they got wet. Make a list of seeds you need to buy. Research the varieties online, but hold off on spending $3/packet unless the blue salsify seeds really fascinate you. The local discount stores will stock perfectly good seeds of popular varieties for 25 cents per packet by the time you want to plant them. Check which of your gardening tools need to be repaired or replaced. Sharpen all your shears on a little grinding wheel or take them to the tool-sharpening shop. If you didn’t get around to it in the fall, spread some fertilizer. 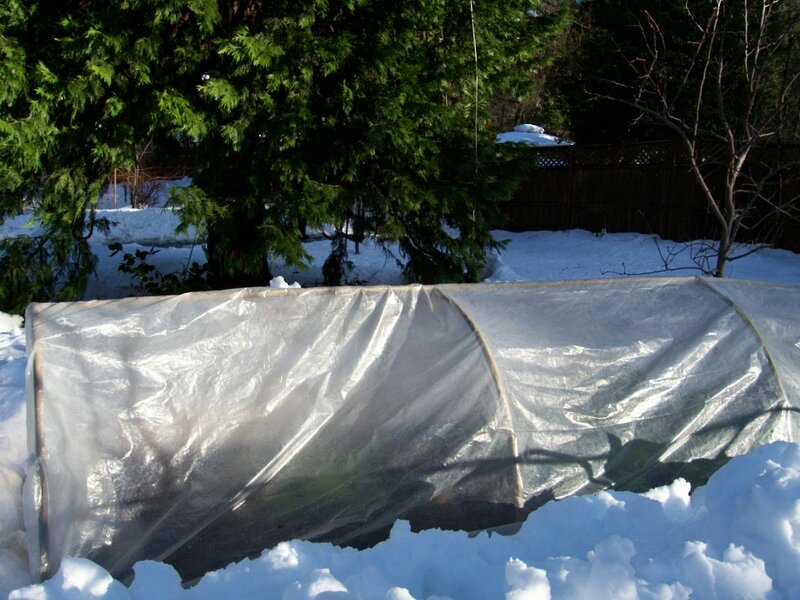 If your ground is frozen, wait till it thaws and rain is expected. and lighting. Don’t be a baby about a foot or so of snow on the ground. Just move it to one side and dig up that fencepost and replace it, pouring cement mixed with very warm water around the base. This kind of chore will be seriously unpleasant in the blazing summer sun, and you’re going to be too busy in spring. Divide perrenials like irises, bluebells, mums, etc. You won’t have to treat for transplant shock this time of year! Trowel up the volunteer canterbury bells, african daisies, hollyhocks, foxgloves, etc, space them out where they are, or replant them somewhere you want them. Remove trees and bushes that have been bothering you where they’re growing, replant them somewhere else or chop them up for firewood. Get a jump on weeding long before the weeds blossom and go to seed. This will save you a lot of time in late spring.